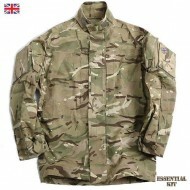 Genuine British Army Surplus Issued, but in excellent nearly new condition. Multi-Terrain Pa..
Super Grade - excellent nearly new condition - issued but hardly worn. Label States - TROUSER, COMBAT, WARM WEATHER MTP. 2 Side Pockets with One Zipped Inner Pocket. 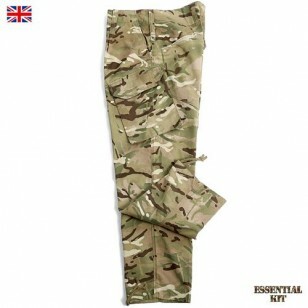 2 Leg Pockets with Concealed Button Fastening. Back Pocket with Concealed Button Fastening. 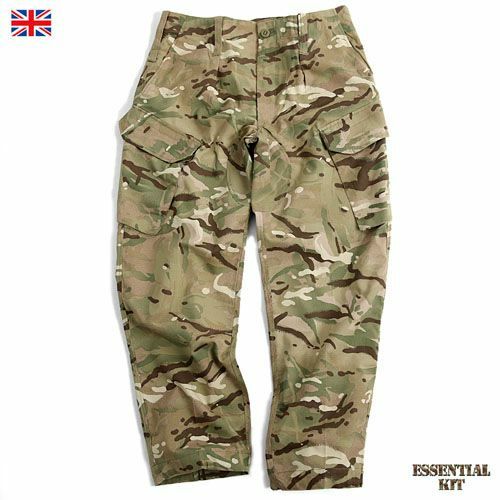 A slightly lighter weight fabric than the 'Temperate' weather version for use in warmer climates. Fabric treated with insect repellent. The insect repellent treatment (based on Permethrin) is durable to washing and will last at least 50 washes in a washing machine (the treatment is effective on the clothing but for full protection insect repellent must be applied to bare skin).